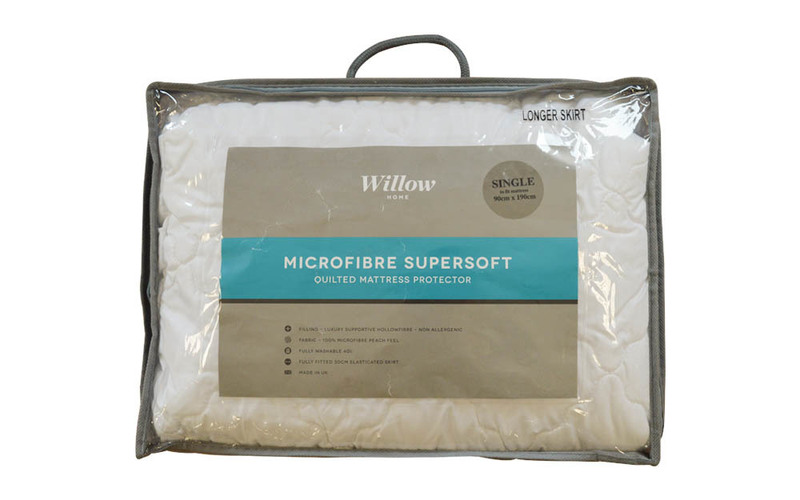 The Microfibre Supersoft Quilted Mattress Protector features a discreet protective layer of polyester, creating a barrier against dust, allergens, mould and small spills. This protector is completely hypoallergenic and machine washable up to 40°C. It comes complete with an additional comfort layer of hollowfibre padding for a more hygienic and comfortable night’s sleep.